The BVA’s new position statement comes amid increasing concerns over breeding and conformation-related problems. A set of guiding principles and recommendations to help tackle extreme conformation across all animal species has been published by the BVA. The BVA’s new position statement comes amid increasing concerns over breeding and conformation-related problems. In a recent BVA Voice of the Veterinary Profession Survey, breeding and hereditary defects emerged as vets’ top animal health and welfare concern. 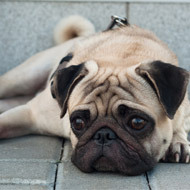 Almost half (45 per cent) of companion animal vets surveyed chose conformational deformities and pedigree breeding, particularly of brachycephalic breeds, among the three welfare issues that concern them most. Exaggerated conformation across species was identified by BVA and its specialist divisions as a key focus for advocacy following the launch of BVA’s Animal Welfare Strategy in 2016. Since then, BVA has worked closely with its specialist divisions to compile six principles and ten recommendations spanning both companion and farm animal practice. The recommendations include supporting breeders to make responsible breeding decisions, performing corrective surgical procedures and monitoring health records and reports, such as abattoir and Food Standards Agency reports, to identify the impact of extreme conformation in livestock. BVA president Simon Doherty said: “This position was developed in close consultation with our specialist divisions and comes at a time when vets in various areas of practice are voicing concern about health and welfare issues resulting from poor breeding.